Are You Chasing People Away? Before I began blogging, I was disheartened by the lack of people who I could interact with, who pursued a genuine relationship with Christ and God. A rare gem, to discover another person who accepted the way I experienced God. I have a few gems in my life, luckily. Yet I always searched, yearning for more. I was blessed to stumble across many of you who fellowship with me in such a loving supportive way. Before blogging I found many religious people who knew the scriptures inside and out, who called themselves “Born Again”, but after time they mostly wanted to argue their interpretation and seemed unable or unwilling to accept the personal relationship that I was developing with my Heavenly Father. They tried to direct my path with many different scriptures, expecting me to apply them to my current situation, instead of trusting God to reveal His Word and His Will to me as I walked by His side, under His direction. Like many others, I found myself directed away from their rigid, graceless, control. I pulled back from their judgmental condemnation of my imperfections or my choices. I didn’t want to draw nearer, rather wanted to protect my fragile heart from their looks of disdain and disapproval as I confessed my daily struggles with the flesh. How many of us have had people knock on our door, claiming to have the one right way to be saved, the only way, according to them? I have had many. The most recent wasn’t satisfied with my confession of love and devotion to God and His Son. He kept trying to trip me up with vague questions, ones which he had carefully selected the only answer he would accept. For every scripture he threw in my face I gave him back three to think on. Yet he was unwilling to accept me. I was standing in my own home being berated and dismissed by someone who claimed to be encouraging me towards God. Needless to say I informed him of this and sent him on his way with love….. No one has been back to encourage me since then. Over the years I have begun to understand the reason many people can’t accept our daily walk under God’s direction, rather than under their control. I believe it is unfathomable to many, that we might know how to perceive God’s personal instructions. Simply because God has not revealed Himself to them or just because the are not at that stage of faith yet. The scriptures often contradict each other much of the time, not every scripture applies to every situation. We must be humble and willing enough to let God use them inspirationally to show us His Will for each of us, at each stage of our lives. No other human being, not one, knows what God has planned for us, except to say He is FOR us! Only we can discover His plan for us through our personal relationship with Him. No human, not one, knows who God will show mercy and forgiveness to, or who He will reign down His wrath upon. No human, not one, knows what actions God will choose to forgive and which He will condemn. These privileges have not been given to us because we are not GOD, who sees into the hearts of His children, and anyone who claims to know these things is simply playing at being God. The path is narrow, but your narrow path is not my narrow path, God is omnipotent enough to have designed a narrow path for each and every one of us, if we continue to seek it. He didn’t make just one plan and need to make every different amazingly created human to fit into it. Enough is enough. If you find yourself using scriptures to make someone else feel unworthy and unloved then you may want to ask yourself if you have missed the whole lesson that Christ suffered horrendously to bring us. Amen to that! It’s horrible to see ‘Christians’ spiritually abuse and manipulate others in this way. May God continue to lead you to like minds who understand the grace, healing and love of Christ that’s offered to us. Thank you GodGirl! It is so nice to hear from you as always. I have been away from the blogosphere for so long I lost touch with so many. I appreciate your encouragement and support. Blessings to you! Interesting post. I just want to say that be careful that you don’t end up doing the very same thing that you are shying away from. You can end up judging those who have a strong relationship with God, thus labeling them religious because of their confidence in their walk with God. It goes both ways. Also, just a scripture for you to consider. Amos 3:7. God will often use prophets to give insight into our lives. God bless! Amen! I completely agree and have to watch my flesh carefully that I don’t slip into the same trap. As I came close in early prophetic years. I have had to wear the role of a prophet many times and it is one tough gig. Never a kind word to give that it easy for others to hear. However the difference is that even if I am given a word for someone, it is not my role to decide if God will forgive or condemn them in the end, if their misteps will take them into Hell or not. It is a warning. Even in the role of the prophet I do not become God nor think that I know more than the word He has given me. I might believe with all my heart that these sins are “Hell Worthy” but I do not believe it is my place to say so, as the final descision is God’s. We must be careful when handling the fragile immature hearts of baby believers and non-believers. While those of us who claim close relationship with God and a deeper understanding of the scriptures and God’s Will, can be dealt with in a much more convicting manner. Hell worthy? Really? Never met a prophet who said something like that. Who are these people? LOL. But I will say this; seers are often misinterpreted as being judgmental. Here is an example: Years ago, a family member married his mistress (sin). God showed me the woman’s death because of that sin. The letter was showed to my own Pastor and I was deemed off. Well, YEARS went by. They had a very rough marriage, the mistress had a nervous breakdown. There was a great separation in the family because of this mans choice. Well the Word seemed very judgmental and condemning right? Seemed like I was putting her in hell right? Well later when their marriage was their happiest, the Word came to pass. She died. Had a massive stroke at the age of 51. Here is what happened. I reported and warned what God SHOWED ME. Nothing more nothing less. Did she go to heaven? I believe she did. But her life and happiness was cut short because she stole someones husband. (Trust me she pursued him relentlessly). What do you think? Question, if the scripture says homosexuals as well as fornicator and adulturers are going to hell, do you believe the Bible? I do indeed believe the word of God. Yet the constant changes in interpretation over the years may dilute the accuracy of the context. And as I have mentioned in my post, not every scripture applies to every situation. Otherwise we would be unable to fully abide by it all the time. It is inspired word, and much responsibility must be taken when quoting it in or out of context. We will surely answer to God for misinterpreting it. Jesus forgave Mary Magdalin for exactly that offence, so who are we to say He was wrong? Please provide the scriptures which you identify the meaning you have given if you would like me to respond in kind. Cheers. Well my sister, your last response made me get up out of the bed..lol Sorry to tie up your blog. Please explain what you mean by “the constant changes in interpretation over the years may dilute the accuracy of the context?” I don’t understand. Yes, Mary was forgiven. God will deal with each case individually and he alone knowd the “judgement” for each sin. I think repentance is a key. 16 All Scripture is [a]inspired by God and profitable for teaching, for reproof, for correction, for [b]training in righteousness; 17 so that the man of God may be adequate, equipped for every good work. Was that it or were you talking about scriptures on homosexuality? About humans devaluing the Word, I would say the more versions you have, the more danger you have in watering down the truth. But that is why a true scholar, must go back to the original language, which is usually much more potent and strong that what you have today. As for scaring sinners away, I have to agree that telling a gay person they are going to hell may not be the best way to win them one one one. Yes, Love is the key to winning them, but sharing the truth about hell is also love. I’m confused by this notion that warning are not about love. It’s so weird to me. But I do agree. As for church, I trust that God has more to do with his church then we give him credit. I am not about to give up on his church because I know that he said he was coming for a church without spot or wrinkle, therefore HE has the power to purify he church and make it what he wants it to be. The church is a living organism and an extension of HIM, yes even with frail humans. I have to disagree on people being born gay. I don’t believe that. I am basing that on the Bible.If people were born that way, why would God condemn homosexuality then? It doesn’t make sense. I do understand how someone could believe that. An example would be a young boy who was molested. Well his first experience with sexual arousal maybe came when a man touched him. Naturally that would confuse him and make him think he was born that way. I think a lot of homosexuality is linked to molestation (my opinion) and then of course, as you so aptly mentioned, generational curses. Romans 1:18-32, Jude 1:7 are two that come to mind. Hmmm, Well God condemns all sin… Every human is born that way… As a Sinner. In your reasoning, Why would God condemn any sin if we are all born Sinners of any kind? Why would He allow us to be born at all? Because it is not as black and white as we like to make it appear. There is the acceptable Will of God, the Good Will of God and the Perfect Will of God. Not all will fit into His perfect Will but who’s to say they won’t fit into His acceptable Will. Jesus’ blood paid the price for all sin so that God could welcome His children into His presence. He sees underneath our flesh acts into our hearts. As for your confusion about a warning of Hell not being loving. It depends on the context it is given. The guy who came into my home to “encourage” me, knew nothing of my walk with God. He assumed because I didn’t go to HIS church then I wasn’t acceptable to him or God! That was not loving at all. That was manipulative and a way of generating hours in his log book to earn points in the eyes of men at his Church. And if I was young in my faith it would probably have chased me away from wanting to pursue God. When I mention the counterfeit within the Church I am talking about the religious institutions under the banner of churches (buildings that are supposed to represent God). Whereas the Church which Christ speaks of coming back for is a completely different element of the spiritual realm. I have received revelations to guide me to believe only very few souls across the globe, who have developed enough stature in spiritual growth, will make up the body. Rather than those who congregate within church walls on a Sunday. I accept that God has the power to purify all of us sinners not just the church. In the Romans scripture there is a long list of sins, some that I too am guilty of. Yet am not “full” of ALL these things, and so who is? My Gay friends? Nope not in the slightest. Just as I said earlier, things we would assume are worse sins are mixed up with seemingly small sins (like whispers), all with the same price. Plus it also confirms how I mentioned those who claim to know of God being dealt with in a more convicting manner. This scripture identifies that they knew of God and had understanding, but rejected it and chose to defile themselves. I am really glad you put in the Jude scripture, I looked back and read from verse one and was reminded that it speaks of those who have crept in unawares and feast with the disciples, yet defile the message of Christ, that they are as bad as those who were shown God’s wrath in Sodom and Gomorrah, and what that punishment was. It doesn’t say everyone who commits one of these sins, who doesn’t yet understand things of God will receive the same punishment. I’m praising God for such a fabulous confirmation of my initial post. Don’t you agree? He is so awesome! Thank you so much for putting them there. See how much context can change it’s possible meanings. Amen! I had dislike saying this over and over, but at first I was confused. But I believe you are looking for a specifics scripture that says homosexuals are going to hell and the one that I found was: Rev. 21:8. Some versions mention homosexuality, but it speaks of all sexual immorality. But I guess I am confused. Shouldn’t the goal of any professing Christian be to win all of their unsaved friends to salvation? It doesn’t matter if they are gay, straight, adulterer, liar, thief or fornicator, or just a good person. The goal is to get that person under God’s cleansing blood and let him do the cleaning up. Arguing specific sins is not the issue. I’m kind of lost as to your point. Forgive me. I use that a lot. I know the original post was about how we can chase people away particularly those in the church can push people away because of our delivery and lack of love. I sense that you (correct me if I’m wrong) have a beef with the church and probably don’t attend. I’m not saying this is you, but usually when people stop going to church it’s because 1. They have been hurt, or 2.They are caught up in a lifestyle of sin and it is keeping them out of the house of God. But I truly believe God’s word, every bit of it from top to bottom. Christ was concealed in the Old Testament and is now revealed in the new. We are no longer under the law, but it’s important to know what was in the law. The New testament is what we follow and some of what was in the old still applies. God condemns homo sexual activity as well as other sins. But not being born again sends all sinners to hell, not a specific sin. People have to accept JESUS John 3:16. Romans 10:9-10. So the goal again is to win them. If you don’t warn all of your friends (gay, straight, whoever) who are not born again, that they are in danger of going to hell (you don’t have to phrase it like that), you do not love them. Who would want a friend to spend eternity in hell? Do you agree? As for Jude 1, it’s quite clear : Jude 1: 4 For certain individuals whose condemnation was written about[b] long ago have secretly slipped in among you. They are ungodly people, who pervert the grace of our God into a license for immorality and deny Jesus Christ our only Sovereign and Lord. Yes, the perversion is trying to take advantage of God’s grace and excuse sin, so that folks can continue in sin.  That is an awesome scripture. Glad you were blessed by it. False grace is a big problem in the church today! I agree with almost all of what you have said and we could spend a lifetime splitting hairs. Lol..I attend church irregularly and yes Ive been hurt and left for a season and then gone back again. And yes Ive lived in much sin. However I still want to be fed with Gods word, to worship, fellowship and serve, I just live it daily rather than just on Sunday. God showed me the enemy sitting at the head of the Church pretending to be God and so I use discernment to advise me of this as I walk.along. All my friends know of Christ and that I am a follower. Most send their children to me when their faith based questions get too hard. It is important to me that others see love shining out of me, and recognize how different I am from most people and I always give God the credit. So I am in the role God has placed me at present. Previously I was in the warning phase and many various other phases too. However I do not agree that all those who are not born again will go to Hell. Nor do I believe the teachings within the church on becoming Born Again are accurate. The Bible has a much more complex procedure hidden within its words. A map of stepping stones to fulfilling the requirements to become reborn as a Son of God. But it is much too difficult to explain, God must reveal it to us one by one. So many who claim to be Born Again, God has shown me may not have fulfilled the requirements of the circumcision of their hearts. Also I love how complex God is, the roles He has moved me through change constantly and not everything applies all the time. It applies in seasons as God directs. That is what my point was in my original post. No one else knows what season of faith I am in and therefore cant know what God wants of me personally and vise versa. False ‘everything’ is a big problem within the church. Blessings to you Dear Sister. Great post as usual! And really interesting dialogue! 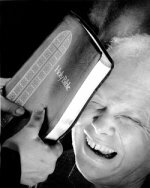 The Bible is a very painful weapon when used by the enemy. The Bible speaks more against gossiping than homosexuality! Yet good church folks are silent about its destruction even claiming it as prophesy.We collectively need to stop declaring some sins as big & others minor. I’m in church several times a week-“sister cam claim my good attendance! Can we (sisters of Christ) agree to stay out of each others bedrooms? Its crowded enough with me, my husband, cats & Christ! …and other forgiven murders is testament enough for me! Once again, awesome job fellow sister & sinner! Sin boldly- don’t let our Lord die in vain! Love you! * feel free to claim my good attendance! Your post is spot on – unbridled love! You are such a tremendous Blessings to me Karen. Thank you so much for your encouragement and for taking the time to share your thoughts here. It certainly is a controversial topic, and I am grateful for all who wish to share their thoughts with respect. It opens our minds and hearts to share like this. I really appreciated your comments on gossiping being focused on more in God’s Word than sexual immorality and supporting my point about all sin is equal, and we are all guilty. Hiding in the hidden darkness of false purity is dangerous ground indeed. We must speak of our sins without fear of the disapproval of “Christians”, the very people who represent a forgiving Saviour!! I just got to the point lately where I needed to speak out against the masses of condemnation and hypocrisy, the lack of love and self-awareness, which bombards the world and claims to represent my heavenly Father! That which they claim is on behalf of the same God who has shown me nothing of this type of treatment. I am gutted by the amount of damage being done to His Wonderful Name after EVERYTHING He has done and will continue to do for me and ALL of us. It is breaking my heart, and fueling my fury. Can’t they see the deception? Obviously not, and that is the problem. Amen! Preach it sister! We need prophets to remind us good church people that whenever we draw a line, Jesus is always on the other side. Jesus hung out with sinners and died because he was too liberal for the Church! Amen & Amen!! Love it! !